The Bachelor of Business from Deakin University is a comprehensive undergraduate course designed for those wishing to pursue careers in business and management. This three-year course focuses strongly on practical skills and work-integrated learning opportunities. You’ll learn through real experiences, which will help you integrate your knowledge, consolidate skills, tackle real problems, and develop your professional identity. The areas you’ll study range from financial literacy and the global economy through to marketing, entrepreneurship and innovation. Study on-campus in Melbourne or Geelong, or online with cloud-based learning. 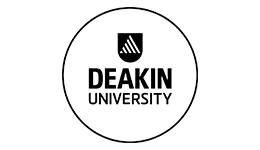 Upon successful completion of this course you will receive a Bachelor of Business from Deakin University. Graduates are prepared to pursue a wide range of careers in the business and management sector, both locally and internationally. Potential roles range from business development and analysis to project and event management and even entrepreneurship.